Looking for St Petersburg hotels? Overwhelmed by the choices? Here are some tips and personal recommendations to make your selection easier. There are over 650 hotels in St Petersburg to fit any traveling style or budget. From internationally famous luxury hotels to independently owned hotels and comfortable budget accommodation, you've plenty of choices. Most of the St Petersburg hotels offer good value for money and are centrally located, so close to the top attractions and activities. You can find them in the famous avenue Nevsky Prospekt or along the many side streets in the Admiralty area. There are also great hotels and mini-hotels you haven't even heard of in other areas of the city, such as in Vasilyesky Island, Petrograd Side or Vyborg Side. But if you're new to the city and you want to benefit from all the amenities and sights nearby, then the city center is the right place to look. Having said that, choosing where to stay during your visit to Saint Petersburg will be one of the most important things to plan. After all, every great vacation needs a great place to stay! Ready to search for your perfect hotel? If so, read on. Use our unique guide to St Petersburg Hotels presented on this site, and find the best accommodation for your Russian stay. To get started just click on the links below. As two keen travelers ourselves, we know that reviews are always opinion, but ratings need to be exact. So we've compiled the very latest data from TripAdvisor.com and Booking.com to create our percentage guide of exactly how many travelers rate the hotel as excellent or very good. Additionally we've asked a first-hand opinion from all our previous customers and foreign friends who have slept there, and we even went the extra mile by visiting some of these Russian hotels personally. and if the hotel rooms are comfortable, quiet and of course clean. Looking for a hotel offering good value for money? Want to stay in a place that has a little bit of it all - comfort and clean rooms, excellent service, friendly staff, modern facilities, home to a fun bar and lounge, close to all the sights, highly rated etc.? If so, here’s a listing of our favorite hotels in St Petersburg that you might want to investigate if you are planning to come for a short or longer visit. Browse this category if you want to find St Petersburg hotels near top tourist attractions (Hermitage, Church on the Spilled Blood, St. Isaac Cathedral, etc.) or very close and in walking distance to great shops and restaurants, theatres, museums or historical monuments. Staying downtown gives you the ultimate convenience regardless of your budget! 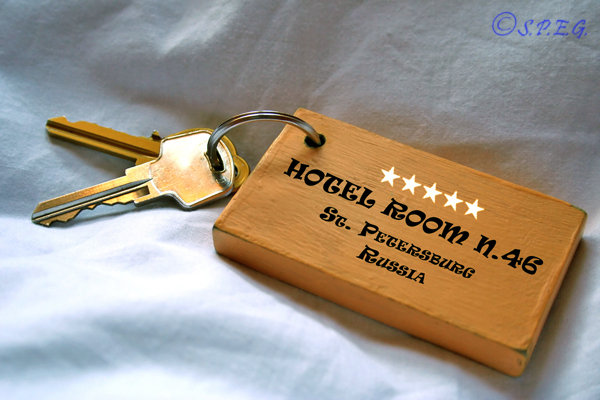 Looking for 5, 4 or 3 star hotels units in St Petersburg? Russia's Cultural Capital offers plenty of choices. From luxury accommodations to mid-range hotels there is a vast range of new and old, (but comfortable) and excellent St Petersburg hotels to fit your needs and budget. Here We've chosen those we would happily stay at, if we were tourists in the imperial city. Travelling to St Petersburg for business reasons? If so check out our list of top-rated business hotels. From fast and reliable in-room wireless Internet connection to modern facilities, comfortable meeting rooms, well-equipped business center, and a quiet location the hotels you'll find here are sure to please every business traveler, no matter the budget. Travelling to St Petersburg by train? If you are a train traveller coming from Moscow or Helsinki, St. Petersburg has a wide range of top class hotels to suit all budgets, especially for those arriving at Moscow Railway Station. Take a look at these good value hotels listed on this category and choose the one that's perfect for you. If sleeping on a bench in St Petersburg Airport does not appeal to you, and you need to be close to the Airport during your stay because you have to catch an early flight in the morning, these great hotels listed here will ensure that you'll get to your flight on time, and feel relaxed before to leave. If you're a loyal customer to a particular hotel brand such as the Crowne Plaza, Park Inn, Ibis, Radisson, or Four Seasons Hotels and Resorts, don't look any further. Here you can find a list of what we think are the best quality chain hotels in St Petersburg Russia. Many of these Western St Petersburg Hotels are found in the central part of the city, so very close to top attractions, shops, public transports, and restaurants. Mini-hotels can be a really valid option for those looking for the best-value accommodation in the city. Saint Petersburg has a large number of small private hotels that offer stylish rooms, great service, affordable price, and a truly personalized welcome. Explore our picking list of recommended Mini-Hotels here and choose what you like most. If you're looking for a way to search hotels at once and in one place only, and at the best rate possible, don't look any further. Here you can read reviews, compare rates, see availability and then book the hotel that's perfect for you. Hotel deals definitely exist, but these offers usually don't last long, so take advantage of them while you can. Russia's Northern Capital may be known for exuding art and culture, and to some extent even romance, but it's also a great destination for travelling families. So, if you're planning your family holiday in Saint Petersburg you can rest assured that the family hotels listed here will make you and your kids feel like you're at home. And you won’t have to worry about breaking the bank. Planning a posh stay in St Petersburg Russia? If money is not an issue for you, then get the most out of your stay with our list of top-notch five-star hotels, and enjoy superb service, luxury accommodations and fine dining. From chic boutique to classic or modern hotels, book the hotel that fits your style and budget here. If you're looking for a cheap St Petersburg hotel, search no more. Here are the best priced hotels in Russia's Northern Capital to help you save without compromising comfort. Take your pick from our selection of cheap hotels in St Petersburg and visit the imperial city for less. Looking for a classy stay without spending too much on super-luxury? Want to combine a charming atmosphere with a no five star hotel price tag? Here's a list to the best boutique hotels St Petersburg has to offer. Experience stylish and high quality accommodation with unique design interiors and personalized service at reasonable prices. Travelling to St Petersburg for a romantic getaway vacation, honeymoon or wedding anniversary? If so, find the perfect romantic hotel for you and that special someone with our list of recommended romantic hotels in the city. Enjoy beautiful interiors of the rooms as well as flower petals, candles and champagne upon arrival. Experience comfort and luxury with a touch of romance. After a long flight or a long walking tour in the city there is nothing better than relaxing in a comfortable and luxurious SPA hotel. If like us you are a SPA lover or you just want to feel pampered or, much better, you fancy the idea to treat yourself a bit special during your Russian vacation, then book one of these SPA hotels in St Petersburg. Certainly you'll find something that suits your tastes and budget. Here are the 10 most popular St Petersburg hotels you could choose to drop your bags, sleep, and relax during your visit. All the hotels you'll find in this category are featuring great facilities, interior design, and service. And most importantly, they have been backed by our readers and past visitors. So they are your best choice for a good reason!